Try our most popular dolphin program! 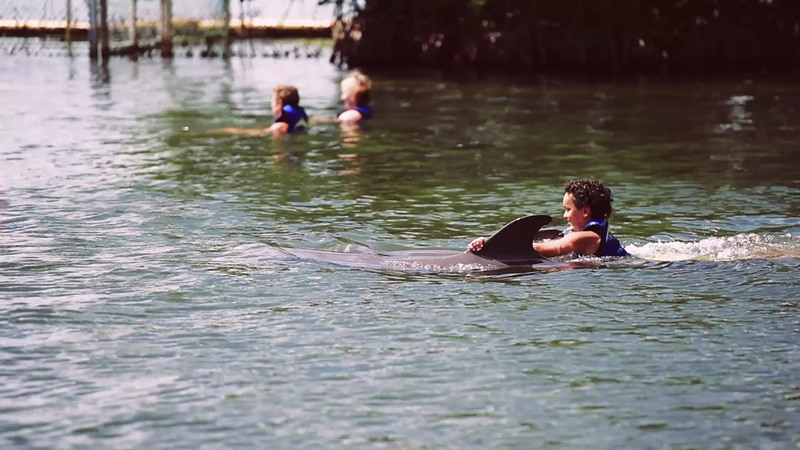 Swim with dolphins in the Florida Keys! Welcome to Dolphins Plus! Here, our guests have the exciting opportunity to observe and interact with our Atlantic bottlenose dolphins in a unique and stimulating environment. We are located in beautiful Key Largo, Florida on the Gulf of Mexico (Bayside). 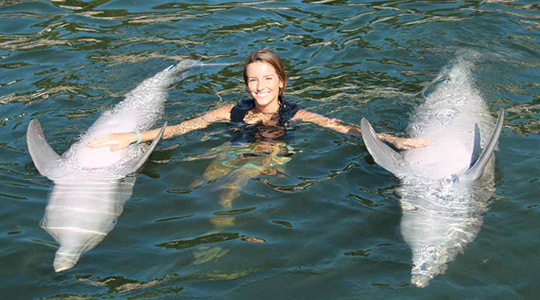 Here, our guests can experience our dolphins in their natural seawater homes. Along with getting to interact with our dolphins, guests will learn all about these amazing creatures, and the importance of marine conservation, from our knowledgeable and well-trained staff of trainers and instructors. 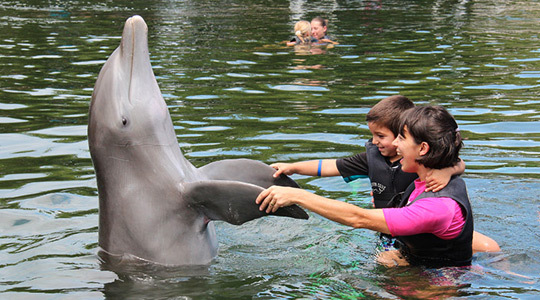 Our dolphins are always happy to meet new friends. So, come on over and jump on in. We’ll see you at Dolphins Plus. In this deep-water program, you'll experience the speed, power, and gentle precision of our bottlenose dolphins and enjoy dorsal tows, handshakes and dolphin kisses. This waist deep dolphin interaction program lets you meet our dolphins up close and personal, while standing comfortably in waist deep water. It’s perfect for kids and non-swimmers. Our bottlenose dolphins swim up to you for a kiss, while you kneel on a floating platform. This program also includes a digital photo. You’ll help one of our dolphins paint a marine mammal masterpiece! Choose a pallet of colors and enter the water atop a floating platform. Not ready to take the plunge? 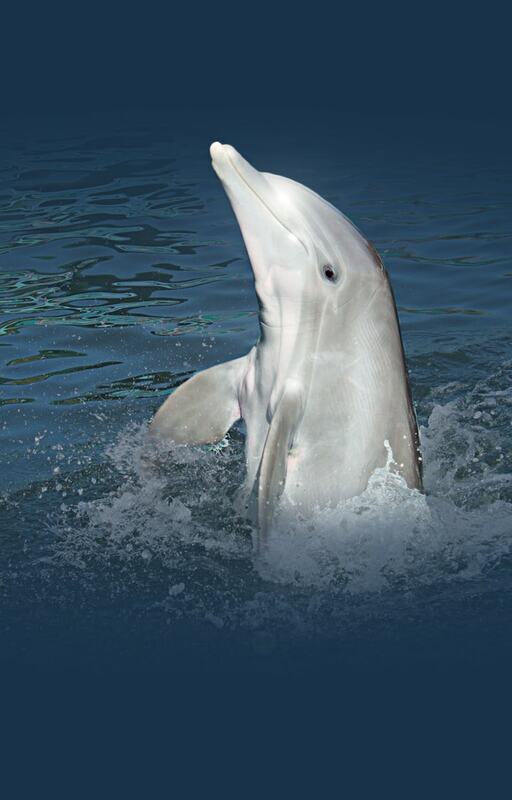 With our Spectator Pass, you can visit the dolphins or watch your friends and family enjoy their dolphin encounter. Enjoy our Atlantic bottlenose dolphins up close! From a floating platform, you’ll experience behaviors like kisses, rubs, and handshakes. From diet preparation to vitamins and nutritional supplements, participants will get a sneak peek at how our marine mammal specialists care for our dolphin family. The Florida Keys Marine Invertebrate Experience at Dolphins Plus is offered as an add-on to one of our dolphin interactions or as a stand-alone experience. Our marine biologists have put together this guide on dolphin facts to answer your questions about dolphin intelligence, how dolphins communicate and how they hunt for food. 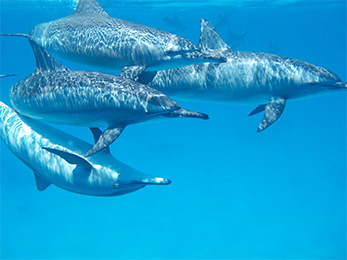 You’ll learn about the different dolphin species, including the very popular Atlantic bottlenose dolphin.